A great BBQ is one of those things that just screams summer, and what is a cookout without the perfect sauce? Shirley J is hosting a free BBQ sauce cooking class Friday, July 30th at noon. 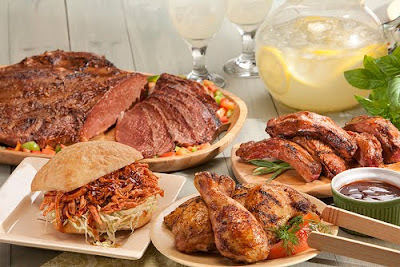 Chef Brian will teach you how to make a variety of grilling sauces using Shirley J BBQ Sauce Mix. You’ll learn how to incorporate fruits (fresh, dried and canned), soft drinks and everyday condiments to make sauces unique to you. Chef Brian will also cover how to use Shirley J BBQ Sauce Mix as a rub and marinade. You don’t want to miss this class. 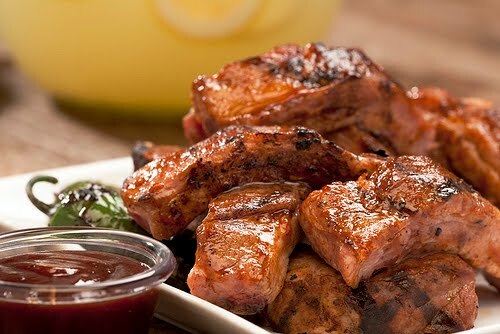 I have loved using the Shirley J BBQ Sauce Mix, not only is it fast to make but it can be used to make any flavor of grilling and basting sauces. It's a "just add water" BBQ sauce that tastes great as a stand alone sauce or with other flavors. It can even be used as a rub or marinade. I recently made Pulled pork sandwiches with the Shirley J Root Beer BBQ Sauce. It was delicious! I can't wait to learn how to make more grilling sauces. In honor of the upcoming Shirley J BBQ Sauce cooking class, Shirley J is giving away one 46 oz. jar of BBQ Sauce Mix to two lucky winners! I love me some good bbq!!! I retweeted with good link (your link wasn't working). Do I have to enter the RT twice? I follow your blog through google - okay I think that is all my entries (thanks). I am starving right now so I am dying to win! oh how cool! That sounds so yummy! I would love to win! i have recently come to love grilling and this would be great! What a great sauce! Loved the video--really helpful. We love Bar-B-Q! My husband would LOVE this! Hope I win! I have never heard of Shirley J BBQ Sauce Mix until your review. Sounds like some good stuff. To be onest I have never tried making sauce with a mix, but I am intrigued by it. Adding condiments to really personalize the sauce sounds like a great idea. Your Pulled Pork looks like it turned out great, that is one of my favorite BBQ dishes to make. That root beer sauce sounds really good! oooh I would love this BBQ sauce. mmm... i like bbq sauce! Fresh bbq sauce? Sounds good to me! Feed me!! What a yummy giveaway! We love our BBQ anything here in Georgia! Following your site. Follow me back, please. These sounds delicious and perfect for summer since we do so much grilling! I would love to try this. It sounds easy to use and it sounds delicious.